Food and drink are one of the strengths of Sardinia that make it one of the most fascinating destinations for your holidays. A countless number of traditional dishes can be tasted in each area of the island, and several are readily bumped into at a food festival or a fair completely dedicated to one of the local products. But, no matter if you’re taking delight in a dish of culurgiones or nibbling some roast suckling pig, there is a constant to your Sardinian meals: wine. Wine is one of the flagship products of the island, and during the last 20 years it has been increasingly recognised as an excellent product all over the world. 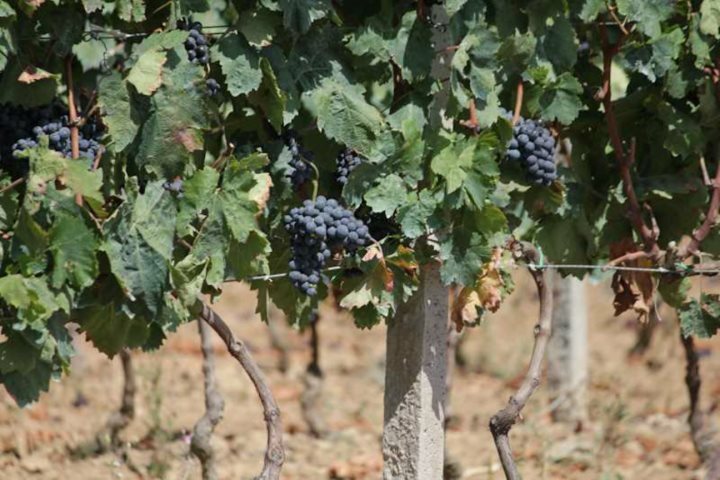 Sardinia’s geography makes vine growing possible in almost every area of the island; on sandy soils or granite, between the slopes of limestone hills and the sea. The peculiar geological characteristics, the unique vegetation that surrounds vineyards and one of the best climates in the world gives Sardinian wine a strong character and a special taste. 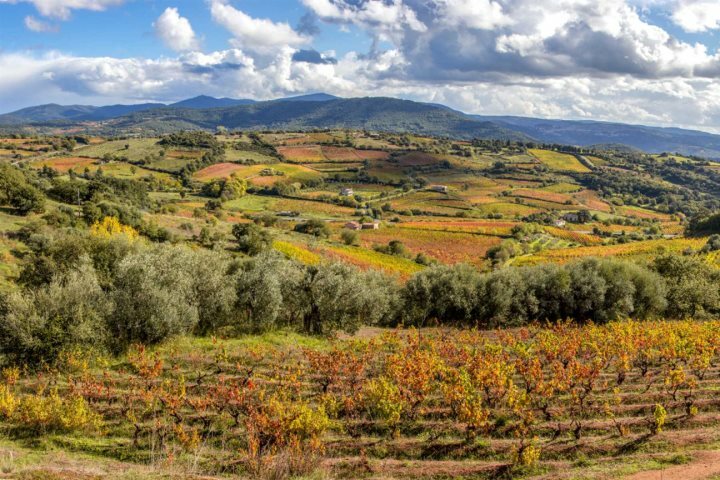 Recently, an important archaeological discovery has established that Sardinians have been devoted to vine growing since the Nuragic Age, around 1300/1100BC. During the following ages, the several peoples who occupied the island carried with them their own culture and traditions in agriculture. In this way, they enhanced Sardinians’ knowledge of vine and wine, introducing techniques such as graft and increasing the portion of land devoted to vine growing. At the same time, the number of vines also increased, giving birth to a long list of well-known wines such as: Cannonau, Vernaccia, Vermentino, Malvasia and so on. Among this great variety, one of the wines that has recently seen its fame growing fast is Mandrolisai DOC. This is also the name of the region that occupies the true centre of the island, characterised by plateaus interrupted by deep pasture valleys, with lush forests of cork and chestnut trees. Mandrolisai area has been inhabited since prehistoric era, as its archaeological finds testify. 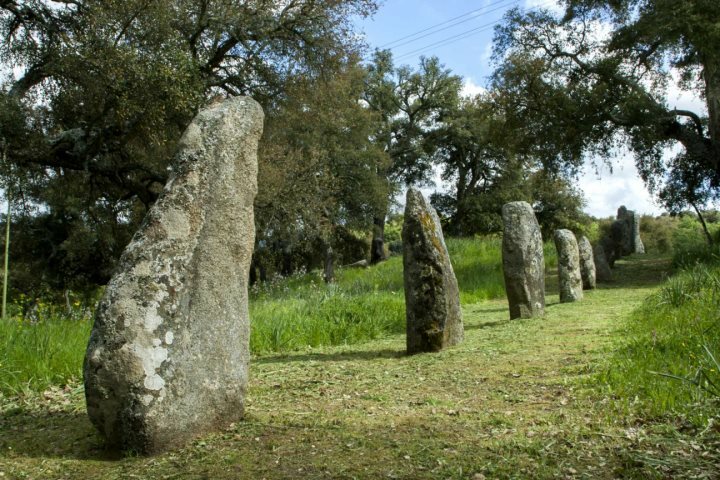 The archaeological site called Biru ‘e Concas counts about 200 menhir dating back to 3000BC. Its favourable climate and granite soil are the reason why Mandrolisai DOC has gained so much attention and appreciation. It is made from a mixture of at least three different native vines: Bovale Sardo, Monica and Cannonau. During this year’s edition of Vinitaly, the most important wine competition in Italy, Mandrolisai DOC Rosso Superiore “Antiogu” by Cantina Fradiles has been awarded the “5 star wine 2016” title. 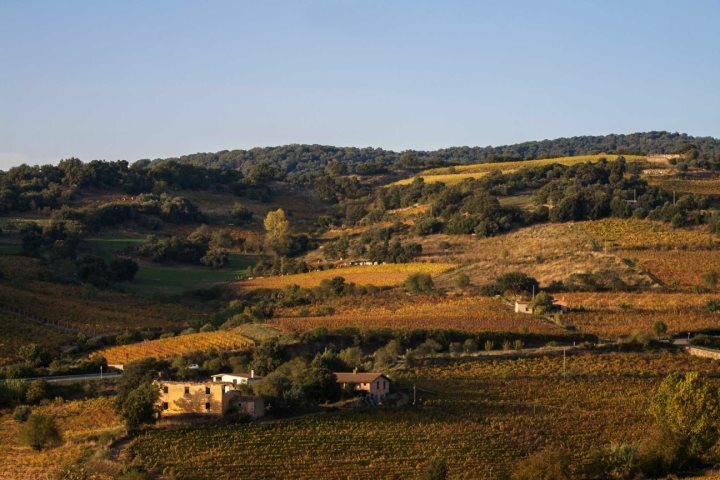 The inhabitants of this area are proud of what they produce, and year on year are keener to let tourists and Sardinians from other regions of the island know more about the culture of winemaking and vine growing. In the little village of Atzara, every year around June, a wine fair is held. 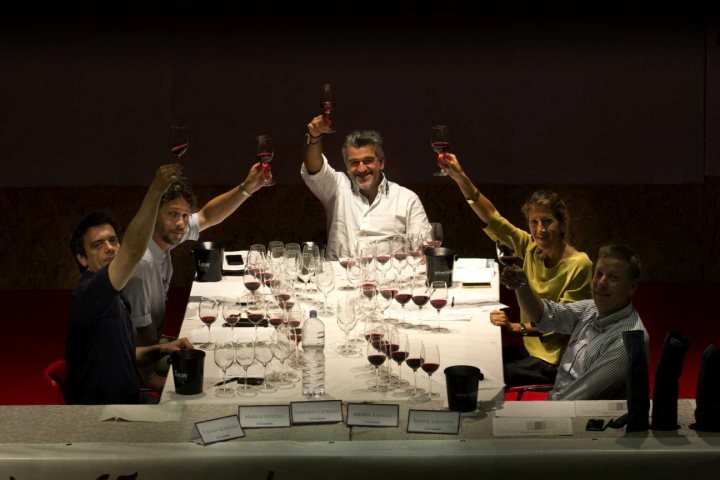 This year the festival is at its thirtieth edition, and it represents now a landmark event for all wine-lovers and winemakers. Visitors can have a tour in the historic cellars of the town, taste Atzara’s local products and admire the work of its craftsmen. During the two days of the event, there are exhibitions of the town’s choir and the folk associations in the traditional dance. Another important centre of Mandrolisai region is Sorgono, a small village of about 1700 inhabitants. 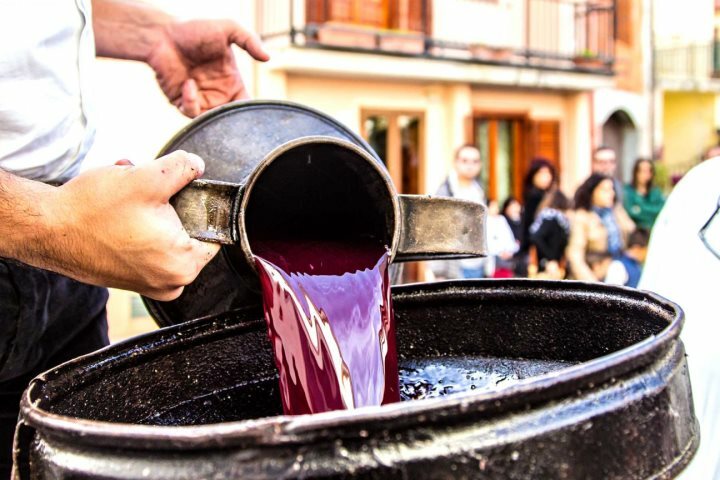 Every year for 22 years, the Pro Loco association and Comune di Sorgono, with the cooperation of all the citizens, have organised “Sa Innenna” (the grape harvest, in Sardinian dialect), a festival which is now part of the circuit Autunno in Barbagia. From the 21st to the 23rd of October, Sorgono will host the 23rd edition of this successful event that every year has a full house, with visitors from all over the world. Local grape-picker in traditional costume during "Sa Innenna"
The planned program winds through the Cortes that host artisans, typical products of Sorgono, tastings, refreshment points, painting and photography exhibitions that immortalise fragments of life in Mandrolisai. Through guided tours, it will be possible to discover the menhir of Biru ‘e Concas, the old museum-house Casa Cubeddu-Serra and the rooms of Cantina Sociale del Mandrolisai (cooperative winegrowers' association of Mandrolisai). From Friday afternoon, a traveling musical entertainment will liven up the streets of the town, while a play and dances in the streets will entertain the visitors during the two evenings of the event. Local grape-pickers in traditional costume during "Sa Innenna"
Visitors can participate in educational courses, conferences and production demonstrations of typical products such as Abbardente (local spirit), Muscadeddu (muscat) and oak barrels. In addition, there will be the sixth edition of Palio delle Botti through the streets of the old town. The teams are composed of two athletes (“pushers”) and the minimum number of formations for each race is five. The race consists of rolling a barrel of about 225 litres along a path that runs through the streets of the old town for about 500 metres. On Sunday the 23rd, visitors will be able to experience the moments of the harvest according to tradition: the procession of the harvesters will start at the foot of the village, led by oxcart, on which will be hoisted “Su cuppone”, a container that will hold grapes during the trip back to the town centre. 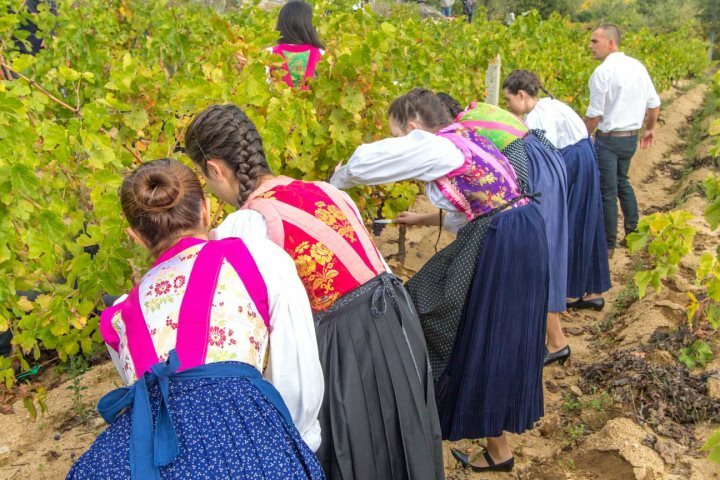 From the harvest in traditional costume and with the tools of tradition, the procession will move back to the village at the centre of which harvesters will proceed to the pressing of grapes with bare feet and then to the draining and pressing of must. Visitors, in addition to closely observe this fascinating process, will be able to taste grapes and wines of Sorgono. Sunday afternoon the awards ceremony of the wine competition Wine and Sardinia will take place. 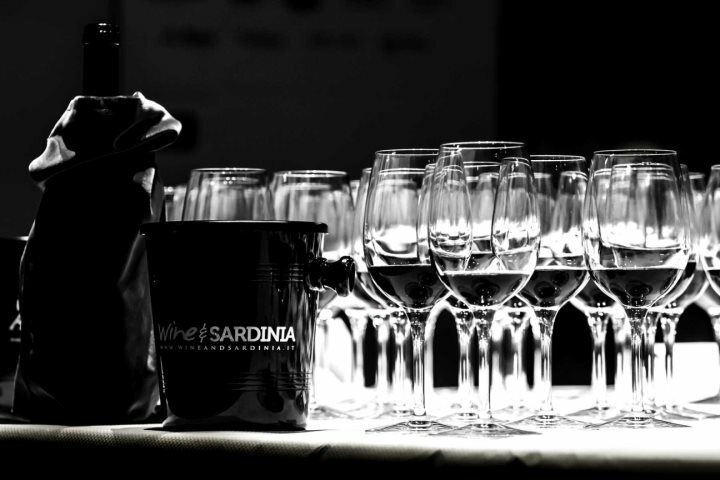 The event, now in its third edition, is realized by Pro Loco Sorgono in order to offer an accurate and original comparison between the wine varieties of Sardinia, and to promote wine culture "made in Sardinia" in the world. 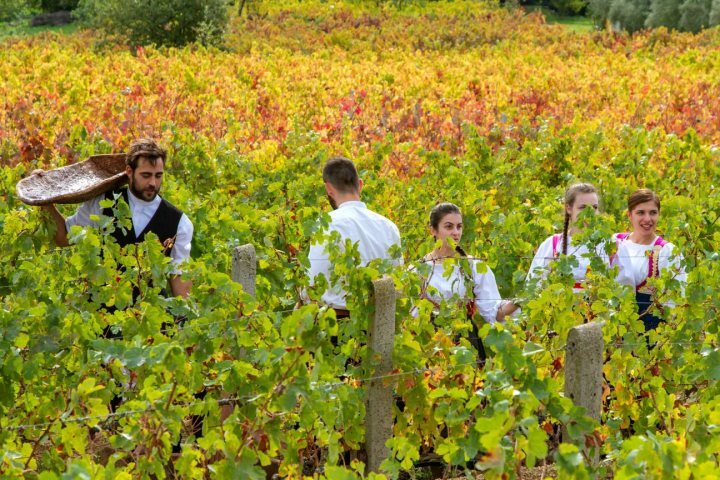 Inspired by the unique productivity of an area related to wine, the project identifies viticulture as the manufacturing sector that best defines the identity of the territory, while in sustainable tourism it sees the real possibility of new development opportunities. Therefore, Wine and Sardinia bets on the integration of the two sectors in a single production chain, offering itself on the one hand as a tool for enhancing the excellent wines of Sardinia, and on the other hand as a reference point for companies operating in the supply chain. 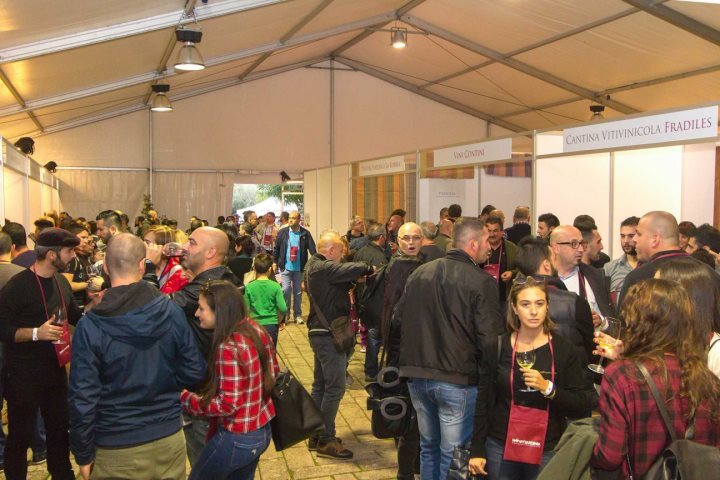 During Saturday and Sunday, in the pavilion set up in one of the town squares, there will be stands dedicated to display and tasting of wines from all over Sardinia. This event is the ideal place for meeting and interaction between experts, manufacturers, potential partners, investors, wine tourists and wine lovers. 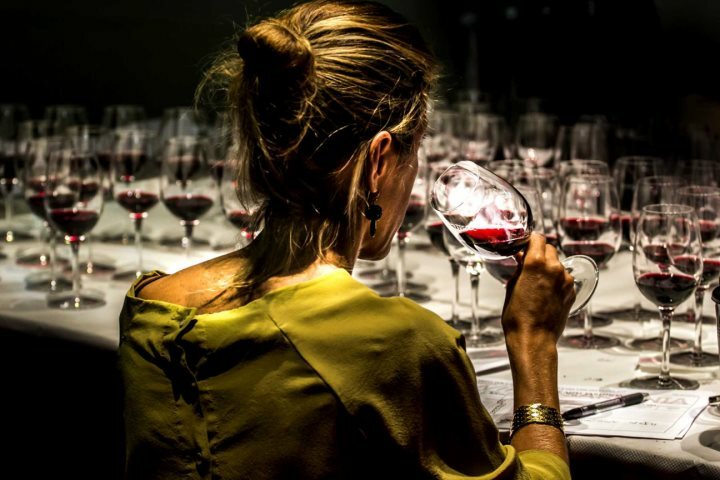 By buying the ticket at the entrance, the visitor will receive a cup that they can use to taste the wines inside the lounge (25 wineries) as well as gaining entry to the award ceremony of the winning wines of the Wine Competition Wine and Sardinia 2016, in presence of political and institutional figures, and art and culture experts of Sardinia. Inside the pavilion there are also local handicraft exhibition spaces. Fancy having a taste of Sardinia's superb wine yourself? Take a look at our holiday package offers in Central Sardinia!